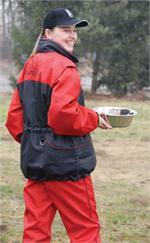 The Gappay Frech Vest is a favorite with dog trainers. With its large open hip pockets in the front and back able to hold balls, tugs, food or any motivational items. The zippered breast pockets secures your valuables while you are training. On the back is a large loop ring to clip your leash or anything needed. The waist and bottom have elastic string with toggles to cinch in for a custom fit. 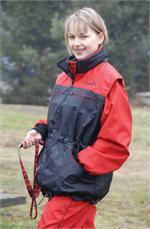 The Hallmark K9 crew has been using the Gappay Frech Vest for years and we hope you enjoy yours as much as we do.